This calendula facial cleanser is made with all natural oils and butters, beneficial herbs and plant based essential oils. 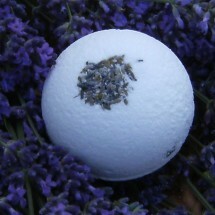 The foaming is very gentle and silky to massage and cleanse your face, bringing a natural balance to your skin tone. This calendula facial cleanser is made with all natural oils and butters, beneficial herbs and plant based essential oils. 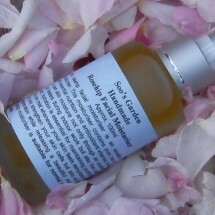 The foaming is very gentle and silky to massage and cleanse your face, bringing a natural balance to your skin tone. Calendula flowers are known for their calming, anti-inflammatory, antibacterial and healing properties. They are high in carotenoids which repair skin cells and sterols which can strengthen skin. 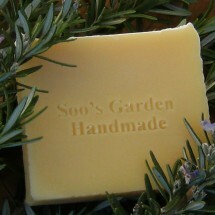 This calendula bar is beneficial for sensitive, inflamed or irritated skin. 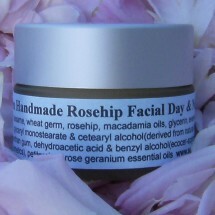 After cleansing you can follow with any choice of facial toner, serum and then cream as a range. My products offer a tangible connection to a philosophy that embodies health, ethnobotanical knowledge and ecological sustainability. 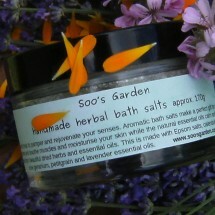 This product is dispatched to you by Soo's Garden Natural Skincare. Would you like to change delivery destination? Cruelty free, no animal testing. Individually handcrafted not mass produced by machine. Made with extra care right here in NZ. Certified or guaranteed to be Organic. 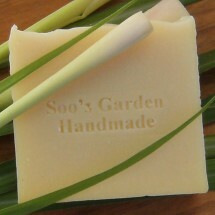 Natural, kind and chemicals free.